This report was prepared by the Association for the Study and Development of Community (ASDC) on behalf of the W.K. 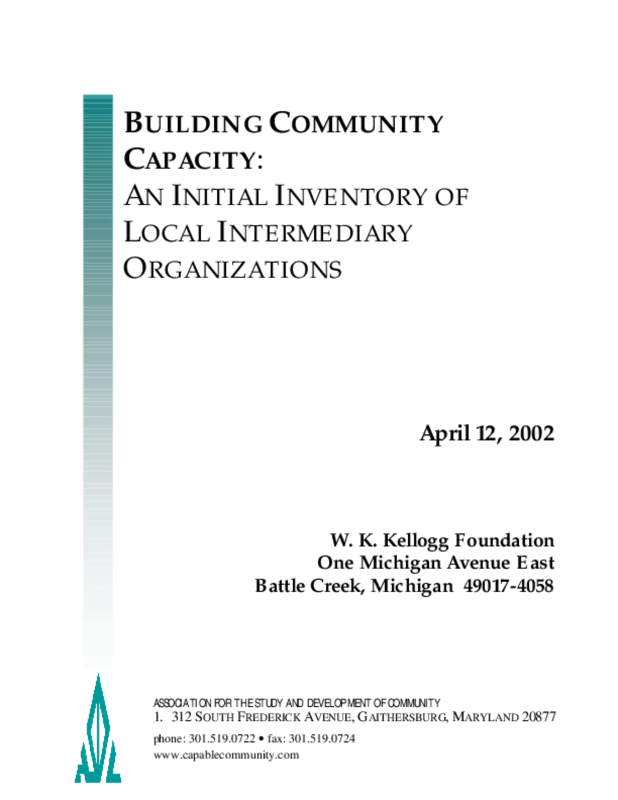 Kellogg Foundation (WKKF) in order to examine the role of intermediaries as support systems for community development organizations. This report is intended to take an initial view of these organizations and provide a preliminary view of their pervasiveness, services, and challenges. The following is a review of the available literature examining the structure and operation of community development intermediaries. Copyright 2002 by Association for the Study and Development of Community. All rights reserved.